The head Department of the State bank of India has issued SBI Clerk Recruitment 2019 for Junior Associates (Customer Support & Sales) -Clerical Cadre Post. Aspirant who want to do job in bank sector especially bank sector they don’t miss this golden opportunity and fill the sbi.co.in 8654 Application Form 2019 before the last date through the link which is mention below. 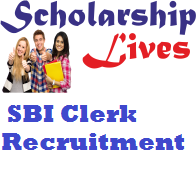 If you are also one of them whose profile match with SBI Clerk Recruitment 2019 eligibility criteria they all are apply online for 8,653 vacancies at the post of junior associate (customer support and sales) in clerical cadre across India. According to latest Notification the application process has started on Friday, April 12 and will be completed on May 3, 2019 (Friday). Education Qualification: Students must have passed graduation in any discipline or must be property any equivalent requirement recognized by the central government. Selection Process: The recruitment of the department will select the brilliant hardworking contenders on the bases of the online preliminary and main examination and test of specified opted language .